When your tummy is rumbling at 3pm and you’re scanning your office for stray candy… how about reaching for a portable, filling and nutritious snack instead? This one is Registered Dietitian approved to boot! 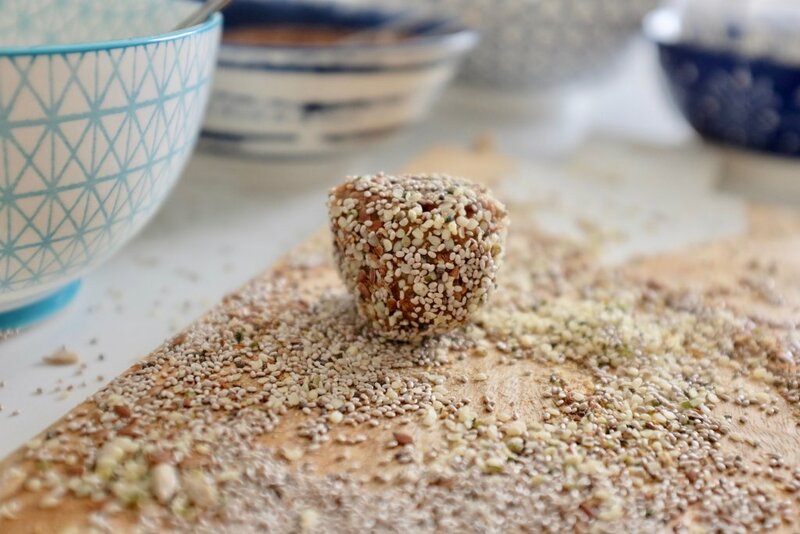 These Nutty Energy Bites will hold you over until your next meal since they promote satiety (fullness) thanks to fiber, healthy fats, and protein. In particular, they are a great source of monounsaturated fat. 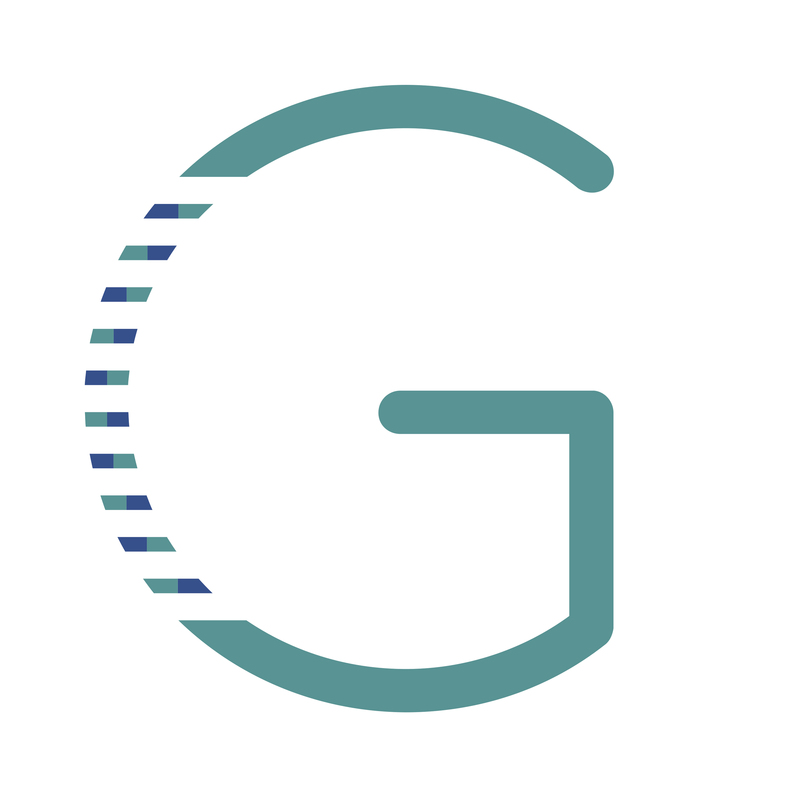 Some individuals have a particular genotype that may result in enhanced weight loss when increasing the amount of this type of fat in the diet. Dietary monounsaturated fats may also reduce your risk of cardiovascular disease and stroke. These can be modified to suit almost everyone’s nutrition needs and preferences. 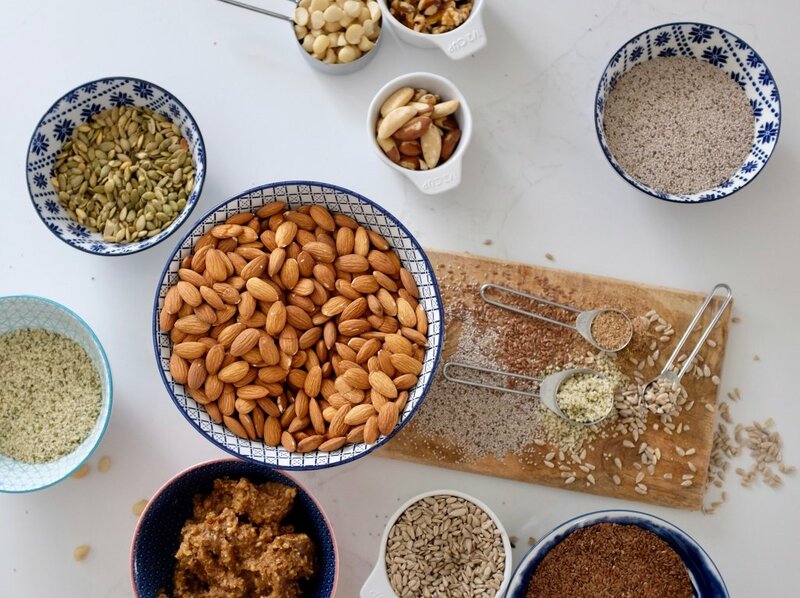 Check out the nutritional highlights below for a variety of nuts and seeds you may include to meet your dietary needs. Have fun mixing and matching ingredients. This combination uses dates and nuts and makes for a sweet and nutty snack. These bites are an ideal portion for a quick pick-me-up. Note the number of servings for the whole recipe, and stick with 1-2 bites for a satisfying snack. If you or a family member have a nut allergy, stick with the seeds and seed butters for an equally delicious snack. 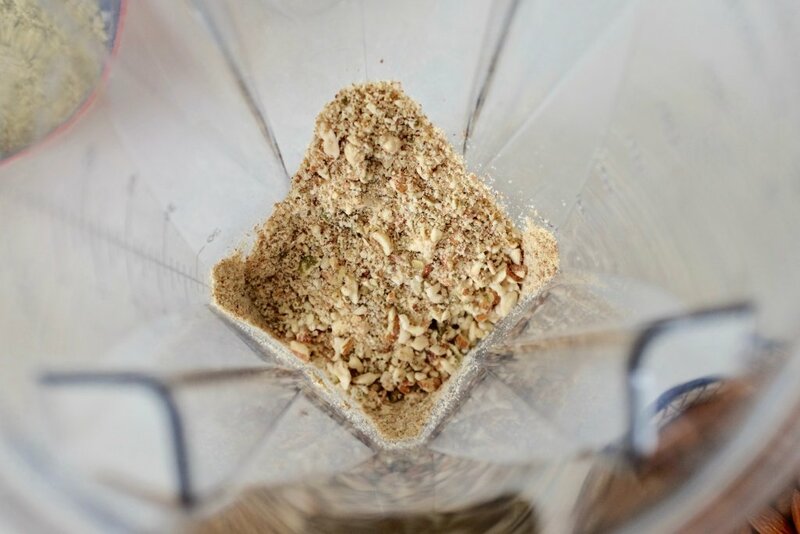 With a blender or food processor, combine almonds and pumpkin seeds until they form a coarse crumb. Add pre-soaked dates, process until dates are finely chopped. Add nut butter, cinnamon and water and blend until all ingredients are mixed. If the mixture is too dry, add more water. Move mixture to a medium-sized mixing bowl and stir in your choice of seeds, if using, for added nutrients and crunch. If the mix feels too wet or sticky, just add more seeds. 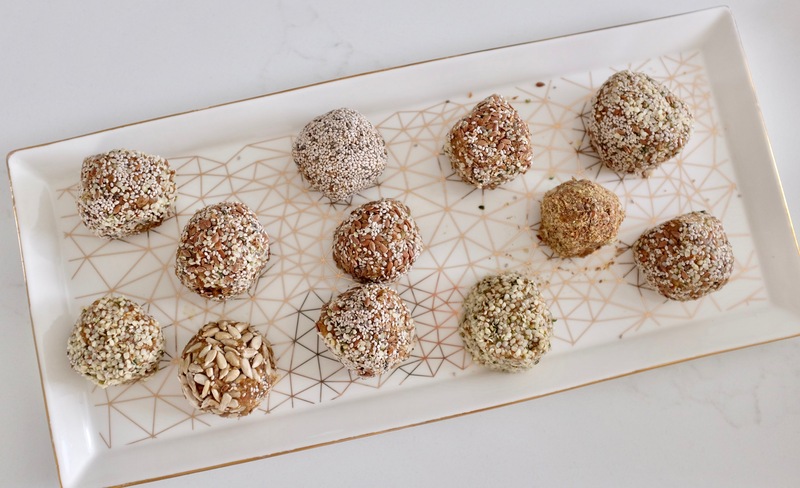 Roll mixture into 12 balls and roll to garnish with seeds of your choice. Place in refrigerator for 60 minutes to chill or eat at room temperature. Energy: 115 kcal, Protein 4.2 g, Fibre 2.2 g, Fat 8 g (1 g Saturated Fat), Calcium 28.5 mg, Folate 2.5 mg, Iron 1 mg. When it comes to purchasing nuts and seeds, choose the raw or dry roasted option and avoid those with added salt or sugar. Nuts and seeds tend to go rancid if left on the counter or in the pantry for a long time because of their fat content. To extend their freshness, store your nuts and seeds in airtight containers in the refrigerator and they should last several months.